Are You Making these Common Nutrition Mistakes? Our friends over at Kettlebell Kitchen just put up some good tips on some of the 5 most common nutrition mistakes that people make, how you can avoid them and how a meal prep strategy can help. MISTAKE #1: PUTTING TOO MUCH EMPHASIS ON CALORIES AND NOT FOCUSING ENOUGH ON FOOD QUALITY AND NUTRIENT DENSITY. MISTAKE #2: EATING FOODS THAT YOU ARE SENSITIVE OR INTOLERANT TO. MISTAKE #3: IMPROPER FOOD QUANTITY: EATING TOO MUCH, TOO LITTLE, OR UNBALANCED MACROS. MISTAKE #4: EATING TOO FAST AND WHILE PREOCCUPIED. MISTAKE #5: LACK OF CONSISTENCY IN YOUR NUTRITION APPROACH. Make sure to head over to their blog to read the full article here. 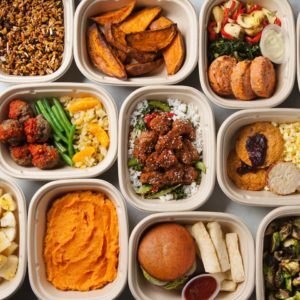 Remember, you can get free meal delivery from Kettlebell Kitchen to Dragon Gym.